BIT Magazine : Why Are We Making Our Own Lab Equipment? Why Are We Making Our Own Lab Equipment? November 26, 2015 | BIT Magazine Bangkok-based makerspace Maker Zoo and Raitong Organics (Thailand) have teamed up to create F.Lab (Food Lab), Thailand's first DIYbio lab. 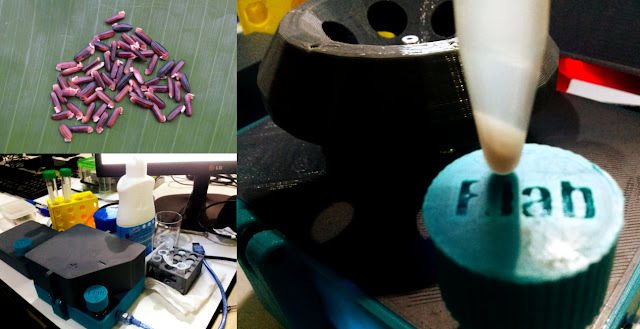 F.Lab's growing ecosystem of open source lab equipment include (left) a centrifuge, (right-top) tube holder, and (right-bottom) a magnetic stirrer. F.Lab member, Hermes Huang from DSIL (Designing for Social Innovation and Leadership) has created a parallel series of workshops this month inviting anyone interested to join him at Fab Cafe Bangkok to build a different piece of DIYbio lab equipment each week. So far the workshops have yielded a magnetic stirrer using standard 80x80mm computer fans and magnets salvaged from old hard drives, a modification to turn webcams into microscopes, and turbidity meters. The workshops served as a convenient impetus to take the DIY projects and turn them into a growing collection of lab equipment for F.Lab. The first DIYbio hardware workshop at the beginning of November at Fab Cafe Bangkok was small, but later workshops have been much bigger. 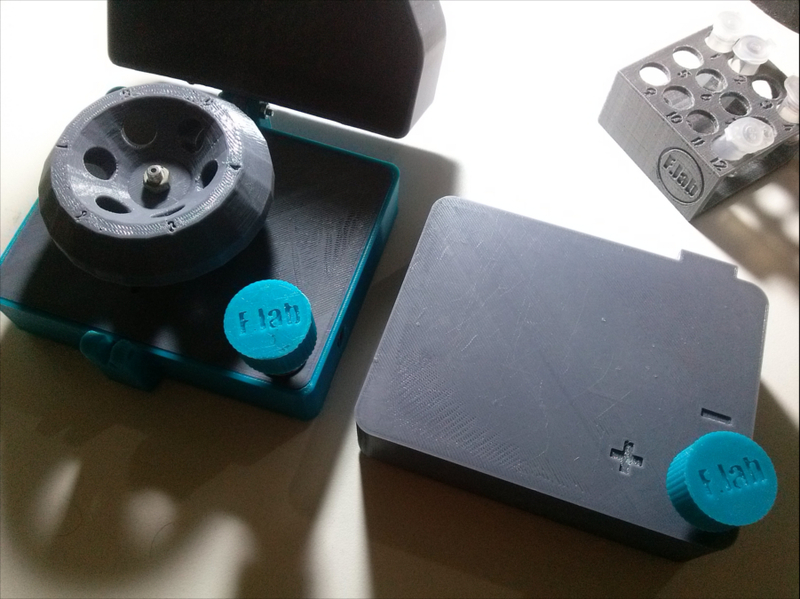 Already the magnetic stirrer was upgraded with a power adapter, 3D printed case, and the potential for future upgrades. Since the magnets in the stirrers came from a hard drive, the idea of using the hard drive's motor for a centrifuge came up. 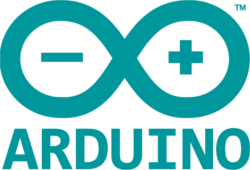 Although the final centrifuge design uses surplus drone motors from Maker Zoo, the small device using an ESC (electronic speed control -- also from a previous drone project) and an Arduino Nano is still simple enough to be made at any makerspace. All of F.Lab's designs are now on Thingiverse where users can download them and make them themselves. Instructables are sure to follow. But the question becomes, why make your own lab equipment in the first place? For one, having your own lab gives you insight into a world few ever get to peer inside. We are surrounded by DNA, and we ourselves depend on DNA, but aside from learning about it in a book, we have no way to "see" it, let alone use the information it contains in our daily life. Having your own lab gives you the ability to develop the skills, tools, and techniques to read, interpret, and even write DNA. This allows you to understand the living world around you, and even understand you yourself better. DIYbio DNA extraction from Thai Riceberry rice. Simple protocols already are open source and online, like this Instructable here teaching people how to extract DNA from their own salvia. The method works well on other organisms as well. F.Lab has already used it to extract DNA from a species of Thai rice called "Riceberry" for its dark purple color. Once you see DNA for the first time, you realize just how accessible it is and begin thinking about the next step in exploring this new world and all the possibilities that exist within it. But for that, you need your own equipment. One of F.Lab's first ambitions is to DNA barcode various varieties of organic rice found here in Thailand. The purpose of this is to enhance quality control for organic growers as well as serve as a barrier of community-based protection against genetically modified crops that may now or in the future creep into one's fields. Also, F.Lab hopes to encourage education and understanding regarding biotech, empowering people with the knowledge to understand it and leverage it for their own best interests. Having lab equipment makes projects like these possible and more feasible. Buying such equipment, however, can be prohibitively expensive, and even if cost is of no concern for you, purchasing proprietary equipment comes with limitations. Building open source lab equipment is not only cheaper and more conducive to building a larger DIYbio community, it gives you the experience necessary to understand each piece of equipment inside and out, allowing you to modify it and improve it as the need arises. 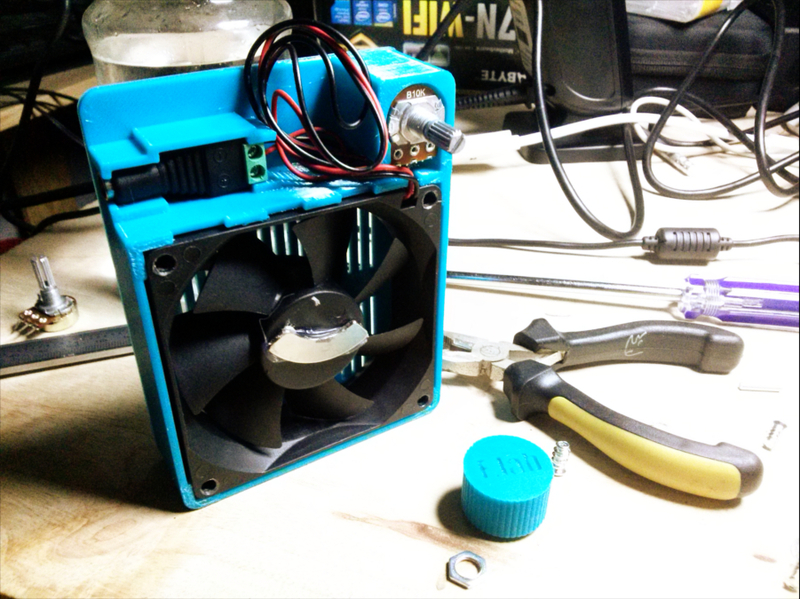 Building your own open source lab equipment means knowing it inside and out. Having these technical and human resources in place now, even if only to do limited projects like DNA barcoding, environmental and human health monitoring, and educational workshops, means that as new technology becomes cheaper and more accessible to the general public, you will already have this infrastructure available to fully utilize it. If you are interested in DIYbio or are in Thailand, feel free to contact F.Lab via Facebook at their page here.